Stress is one of the major promoters of degenerative diseases. In my book, The Most Effective Ways to Live Longer, I called it one of the “Four Horsemen of Aging”, and in Dr. Sinatra’s and my book, The Great Cholesterol Myth, we call it one of the four major promoters of heart disease. It’s not just “all in your head”. In some cases, stress alone can bring on an outbreak or attack (alopecia, herpes, even a heart attack), but in every case stress makes existing diseases and conditions worse and recovery slower. The overproduction of stress hormones like cortisol actually shrink a portion of the brain called the hippocampus (involved in memory and thinking), while weakening your immune system and directly contributing to belly fat. 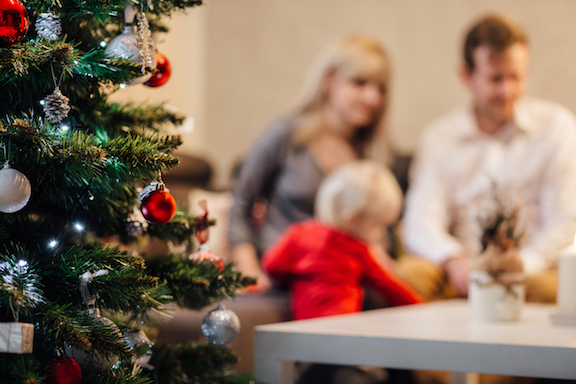 The holidays are a uniquely stressful time for three reasons: Food, family, and time. First, there’s more food around than at any other time of year, and most of it is delicious, terrible for your waistline, and usually irresistible. Family is wonderful but everyone’s family comes with their own unique set of stressors and upsets—no one is exempt. Finally, there are more things to do and less time to do them in. The trifecta of these three variables creates exponential increases in stress. 2. Take a breathing break. Take a four minute “time out” for yourself. demands on your NAD+ stores, which also diminish as we age. TruNiagen (which I do daily). during this time would certainly not hurt. running cold (low energy, fatigue) it picks you up. d. Natural Vitality Calm Powder. Finally, sip green tea! Seriously. Green tea contains a terrific compound called L-theanine, which is an amino acid that really helps with relaxation. In fact, L-theanine is prescribed in Japan specifically for anxiety. L-theanine is the reason that green tea drinkers don’t tend to get the jitters—it modifies the effect of caffeine. You can also buy it as a supplement in 200mg doses. The best one is made by SunTheanine. Is there a way to measure cortisol levels? In addition to reducing stress and cortisol, what are the other major contributors to too much belly fat? fat?